TOGETHER WITH A TREATISE DISCOVERING The Affectionate tenderness of CHRIST’s HEART now, in Heaven, unto Sinners on Earth. 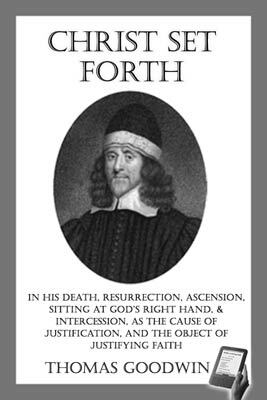 By Thomas Goodwin, B. D.
Whenever we would go down into our own hearts, and take a view of our graces, let us be sure first to look wholly out of ourselves unto Christ, as our justification, and to close with them immediately; and this as if we had no present or by-past grace to evidence our being in him. And if then, while faith is thus immediately clasping about Christ, as sitting upon his throne of grace, we find either present or fore-past graces coming in as handmaids, to attend and witness to the truth of this adherence unto Christ (as after such single and absolute acts of faith it oftentimes falls out);—the Holy Ghost (without whose light they shine not) "bearing witness with our spirits," that is, our graces, as well as to our spirits;—and then again, for the issue of them, if in the closure of all, we again let fall our viewing and comforting ourselves in them, or this their testimony, and begin afresh (upon his encouragement) to act faith upon Christ immediately with a redoubled strength; if thus (I say) we make such evidences to be subservient only unto faith (while it makes Christ its Alpha and Omega, the beginning and the end of all), this will be no prejudice at all to Christ's glory, or the workings of faith itself; for by this course the life of faith is still actually maintained and kept upon wing in its full use and exercise towards Christ alone for justification. Whereas many Christians do habitually make that only but as a supposed or taken for granted principle, which they seldom use, but have laid up for a time of need; but actually live more in the view and comfort of their own graces, and the gracious workings thereof in the duties towards Christ. Chapter One: The scope of these words: that they were Christ's originally. Christ the highest example of believing. Encouragements to our faith from thence. Chapter Two: The scope and argument of this discourse is, either direction to Christ as the object of faith, or encouragement to believers, from all those particulars in Christ mentioned in the text. Chapter Three: First, directions to Christ as the object of faith. How in a threefold consideration Christ is the object of justifying faith. Chapter One: How not Christ's person simply, but Christ as dying, is the object of faith as justifying. Chapter Two: What in Christ's death, faith seeking justification, is especially to eye and look at. Chapter Three: What support or matter of triumph Christ's death affords to faith for justification. Chapter One: Christ's resurrection supports faith two ways: 1. By being an evidence of our justification; 2. By having an influence into our justification. The necessity of Christ's resurrection, for the procuring our justification. Chapter Two: For the explanation of both these is shown, how Christ sustained a double relation: first, of a surety given, for us; secondly, of a common person in our stead. The difference of these two, and the usefulness of these two considerations, for the explaining all the rest that follows, in this whole discourse. Chapter Three: The first head: The evidence of justification which Christ's resurrection affords to faith, explained by two things. 1. By showing how Christ was made a Surety for us. 2. How his resurrection as a Surety holds forth this evidence. Chapter Four: The second head propounded, the influence Christ's resurrection has into justification. Two branches of the demonstration of this: First, that Christ was a common person, representing us in all he was, or did, or suffered, handled at large; more especially a common person in his resurrection. Chapter Five: The second branch: How Christ's representing us as a common person in his resurrection, has an influence into our justification, made forth by two things: 1. How Christ at his resurrection was justified from our sin; 2. That we were all then justified in him as a common person. Chapter Six: How our faith may raise from hence, a matter of triumph about our justification. An explication how we are justified by faith, although justified in Christ at his resurrection. Chapter Seven: How all this, both the support of our faith and our justification by Christ's resurrection, is sealed up to us in baptism. The conclusion; How faith may make use of Christ's resurrection in its pleas to God. Chapter One: A connection of this third head with the two former; showing how it affords a farther degree of triumph. Two things involved in it: 1. Christ's ascension; 2. Christ's power and authority in heaven. Chapter Two: Showing first what evidence for our justification Christ's ascension into heaven affords unto our faith, upon that first fore-mentioned consideration of his being a Surety for us. Chapter Three: Showing what evidence also Christ's sitting at God's right hand, having been our Surety, affords to our faith for justification. Chapter Four: Demonstrates, in the second place, what influence Christ's ascension has in a believer's non-condemnation, upon that second premised consideration, of Christ's being a common person for us. The security that faith may have from thence. Chapter Five: Demonstrates in like manner what influence Christ's sitting at God's right hand has into our justification, upon that second consideration of his being a common person. And the security faith may have from thence. Chapter One: A connection of this with the former; and how this adds a further support. Two things out of the text propounded to be handled: First, the concurrency of influence that Christ's intercession has into our salvation. Secondly, the security that faith may have therefrom for our justification. Chapter Two: The first head explained by two things: First, intercession, one part of Christ's priesthood, and the most excellent part of it. Chapter Three: The second; the special peculiar influence that intercession has into our salvation and justification, and the reasons why God appointed it to be added to the former. Chapter Four: The second head: the great security the consideration of Christ's intercession affords to faith for our justification, showed, 1. By way of evidence; by two things. Chapter Five: The prevalency of Christ's intercession, and the powerful influence it has into our salvation, demonstrated first from the greatness of Christ, and his favour with God. Chapter Six: Secondly, the prevalency of Christ's intercession demonstrated from the righteousness of the cause he pleads even in justice; how forcible the cry of his blood is, himself appearing to intercede with it. Chapter Seven: Thirdly, the prevalency of Christ's intercession, and of his grace with his Father, demonstrated from the greatness and absoluteness of his power to do whatever he asks. Chapter Eight: The potency and prevalency of Christ's intercession, demonstrated from the graciousness of the person with whom he intercedes, considered first as he is the Father of Christ himself. Chapter Nine: The potency of Christ's intercession demonstrated, in that he intercedes with God, who is our Father. How God's heart is as much inclined to hear Christ for us as Christ's is to intercede. Chapter Ten: The use of all; containing some encouragements for weak believers, from Christ's intercession out of Hebrews 7:25.